Of course, we know that for every teacher with an inspiring story we meet at a music education conference (or hear from on social media) there are hundreds more teachers with equally inspiring stories to share. We want to help you celebrate your students’ success, and we decided to do so with a quick, fun contest. We’d like you to describe, in 500 words or less, how you and your students are experiencing success using new SmartMusic. Whether you’re using SmartMusic exactly as intended or in a clever or unique way, we’re interested. 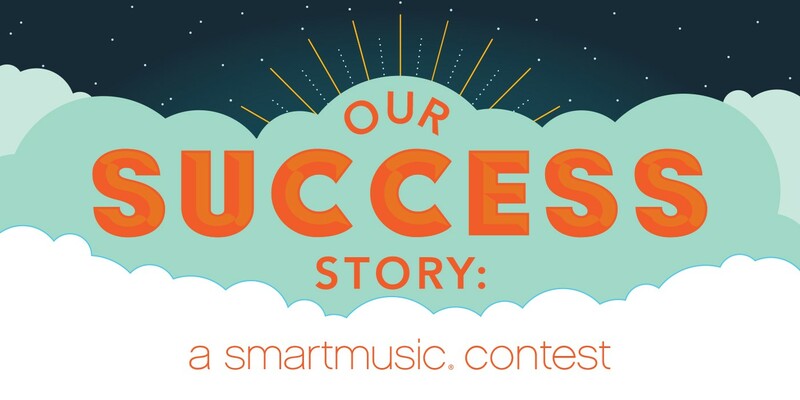 Not only can sharing your success story inspire fellow educators (and possibly give them helpful tips), three entries will also win their programs $200 credit at their favorite local sheet music retailer or instrument repair shop. Want to learn more? Check out the contest rules then jot down your story. When you’re ready, click “Enter” below and paste in your copy into the form provided. But don’t put it off; entries must be submitted by April 30, 2019.